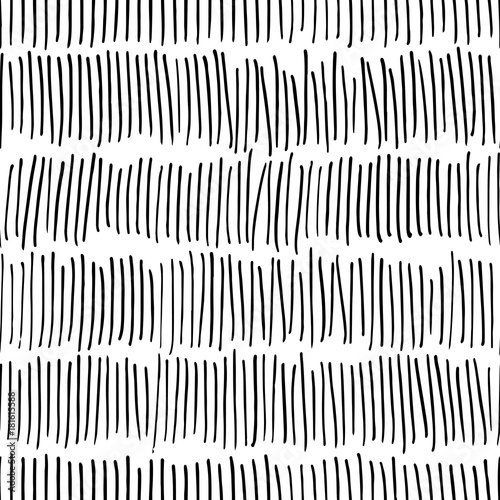 Vector black white strokes seamless patterns. Abstract texture background made with watercolor, ink and marker hatches. Trendy scandinavian design concept for fashion textile print.